Heartbeat FM is Dublin’s only love song radio station. The station began life in 1986 and became very popular with Dublin radio audiences. See history HERE. Based in Dolphins Barn on Dublin’s south side Heartbeat FM has been off air since our last Temporary Broadcasting License in 2010. We hope to be back on air shortly and we are looking at other broadcasting platforms including Satellite and Digital. 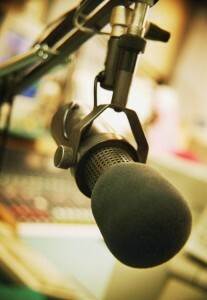 Different radio stations have different types of listenership however Heartbeats listenership is unique. In 2010 after an absence of almost 25 years Heartbeat returned to Dublin airwaves with a 30 day Temporary Broadcasting contract and almost immediately the station was inundated with phone calls from listeners who remember the station or who’s parents listened to the station during its pirate days in the 1980’s. We offer a variety of shows presented by radio presenters who have a love and understanding of the music they are playing and of the audience that they are talking to. Our audience is between ages of 30 to 55 however don’t mistake us with an oldies station. Our music ranges from the 1960’s right up to the present day.